Either a link to the resource, or if it’s a pdf, send it as an email attachment to info@mapleresearch.org. Not all submissions will be accepted, and inclusion of materials in the database is solely at the discretion of NAMSC. 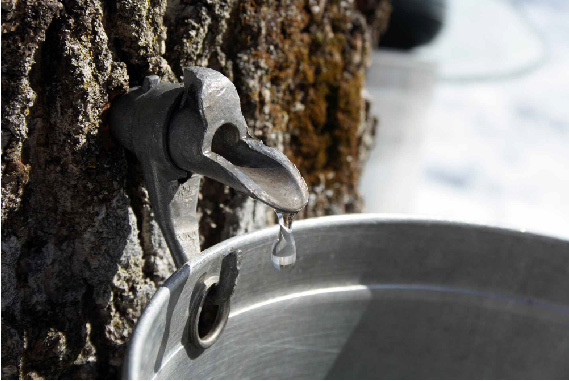 Collecting sap the old fashioned way. Funding for this project was made possible by the U.S. Department of Agriculture’s (USDA) Agricultural Marketing Service through grant AM170100XXXXG167, awarded to the University of Vermont Proctor Maple Research Center. The contents are solely the responsibility of the contributors and do not necessarily represent the official views of the USDA.